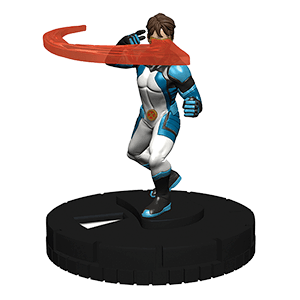 Marvel HeroClix: Uncanny X-Men Pre-Release Event! 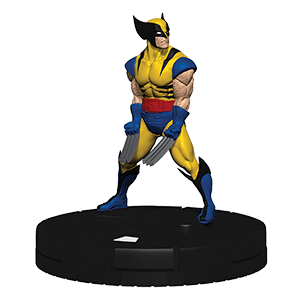 Players will have an opportunity to get a sneak peek at the figures from the Marvel HeroClix: Uncanny X-Men set before official world-wide release! The Marvel HeroClix: Uncanny X-Men set features three major sub-themes of the All-New X-Men, the Marauders, Freedom Force and much more! Selected stores will need to schedule their Marvel HeroClix: Uncanny X-Men Pre-Release Event using the Marvel HeroClix: Uncanny X-Men Pre-Release template in the WizKids Info Network (WIN) (see “Important Dates for Stores” tab below). As a participant in the program you will register your store and your events in our database using a simple browser-based interface. 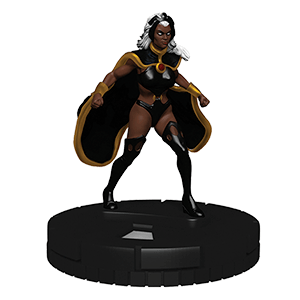 The information you provide will populate our event locator that will direct visitors of http://win.wizkids.com to your store to participate in the Marvel HeroClix: Uncanny X-Men Pre-Release Event. NOTE: Only stores selected to participate in the Marvel HeroClix: Uncanny X-Men Pre-Release will have access to the official Marvel HeroClix: Uncanny X-Men Pre-Release template. Each Marvel HeroClix: Uncanny X-Men Booster Brick (72364) contains ten (10) 5-figure booster packs. Each store selected will be able to purchase 1 case or 2 cases of the Marvel HeroClix: Uncanny X-Men Booster Bricks— each case will support up to 20 players. Pre-release events may be run as a Swiss Tournament or Battle Royales— stores opting to run their event as a Swiss Tournament may use remaining prizes and booster packs to run Battle Royales (see Prizing tab for distribution of prize items). Players keep the 5 figures from the Marvel HeroClix: Uncanny X-Men set that they drafted for their team. Players also have a chance to win one Limited Edition (LE) Marvel HeroClix: Uncanny X-Men Map or a Limited Edition (LE) Prize Figure. Participating Stores MUST schedule their events in the WES by April 6, 2016. Marvel HeroClix: Uncanny X-Men Pre-Release Events MUST be scheduled to run no later than May 3, 2016 (prior to official product release). Participating stores MUST schedule and report their Marvel HeroClix: Uncanny X-Men Pre-Release events using the official template created by WizKids in the WizKids Info Network. IMPORTANT MESSAGE FOR STORES! Marvel HeroClix: Uncanny X-Men Pre-Release Events MUST be scheduled to run no later than May 3, 2016 (prior to official product release).